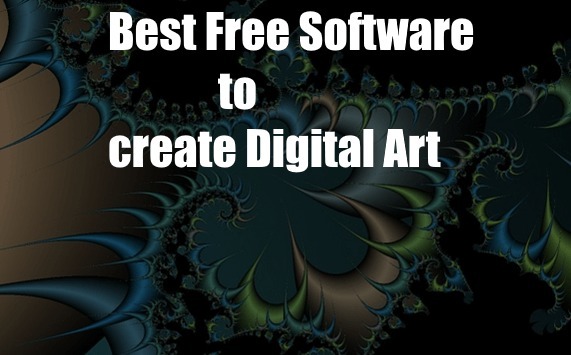 Top free softwares for creating digital art: – In the recent years, digital art has become a huge rage among the newer generations, kids and teenagers alike, seem to have mastered this art to create their own designs for personal preference. Digital art is also referred to as digital painting and is a great hobby for your brain when you are young. It is just like another medium for you to express your creative self, which is very important. Initially, when the digital painting was introduced to the public, softwares that helped in making your vision a reality, would cost a fortune. And only a handful of them did the original work, they were supposed to do.You might be familiar with photoshop and other drawing softwares that have made a huge name for themselves and charge the public accordingly for their use. Here, i will now introduce you to some of the digital art softwares that are completely free and do not require any kind of monetary investment.You can use them for completely free, with some of them charging a small amount of fee for using all the features, while others will show you ads, in order to be able to generate their revenue. Still, if you are familiar with free softwares and the number of loopholes they hold, you might relate to these freeware programs as they try to generate their revenue through similar means.I have also listed 3 online sketching and digital art softwares, these services are available for you online, without having to download any third party software , which might be preferred by some of you. 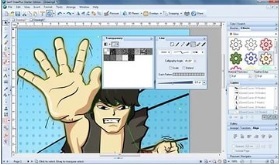 Inkscape is another famous program used by many illustrators and digital sketch artists. Marketed as a professional vector graphics editor, Inkscape is free as well as open-sourced for ultimate compatibility and versatility. It has all the usual drawing and texture tools required by any illustrator. Apart from that it also supports almost all file formats, bezier and spiro curves and advanced text editing. Which make it a great tool for editors as well. It supports object creation, object manipulation, fill and stroke, Operations on paths, Text support, and rendering too. Thus Inkscape becomes a highly sought after tool for web designing as well. The only drawback is that first-time users might find the program a little complicated. You can refer to different free tutorials online, to help you get a hold over the new Inkscape Illustrator. Krita is a great freeware program for designers and sketch artists alike. Though versatile, it was made mainly for Concept arts, texture painting, matte painting, illustrations in photos and comics and manga. 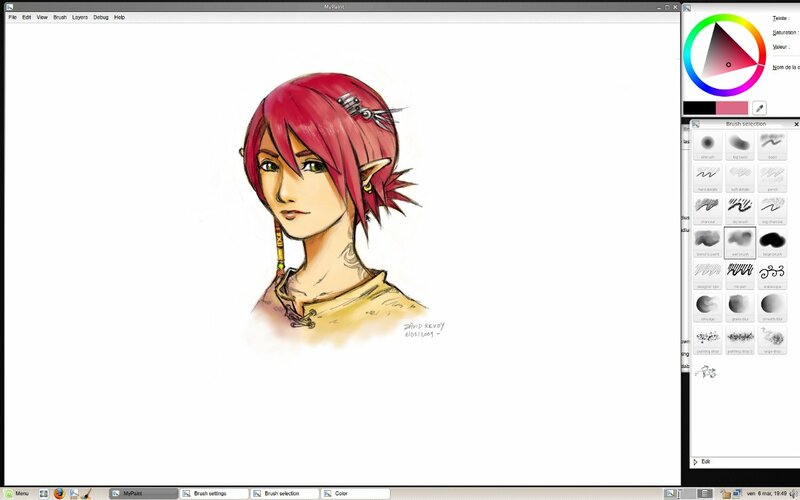 It’s a KDE program for sketching and painting. Krita offers three products, you can choose the one that suits your needs and device. The software is very versatile and can be used for sketching, creating objects, editing photos, touching up etc. The program is known to have a steep learning curve, which you can overcome by referring to online tutorials whenever necessary and needed by you. Krita is another great free digital illustrator used by thousands around the globe. This is another illustrator that is completely free without any hidden loopholes. You can use it to draw, sketch, design and even create objects from scratch. It has vector drawing tools which will aid you very well while designing and enhancing images, as well as come in handy when creating objects and other designs. The started edition includes filters, color schemes, and even 3D effects to help you get a professional looking design. It also has a photo studio which will help you make your designs into photo quality prints, which is a great feature if you need designs instantly at some point in time. The precise tools and realistic painting algorithms make this tool a great product for free of cost. It is one of the best free softwares available for creating digital art as well as editing your photos. It is a versatile program, compatible with Linux and mac as well. Gimp is more than a sketching tool and can be used for scientific purposes as well. It comes feature packed from the start, and you can get started right after installation. If you are already used to illustrators, and you have your own third party plugins, you shouldn’t worry. Gimp is compatible with many third party softwares and plugins . 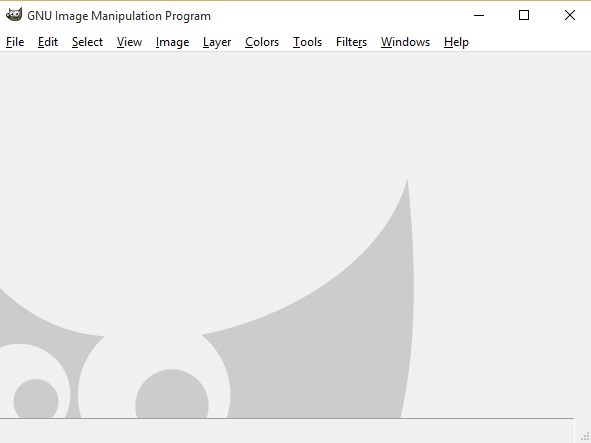 If you are a programmer, then you might be happy to know that Gimp is compatible with multiple programming languages like C, C++, Perl, Python, Scheme etc. The Gimp is very versatile and can be used by newcomers as well as advanced users. MyPaint is one of those developed out of the need for better brushes, Which is totally understandable as most of the good brushes for sketching out there can be found only with the paid version of Adobe Photoshop. MyPaint was created because of the simple need for better brushes and a better algorithm that records strokes and the pressure of it at a faster pace than usual, making it a great sketching tool. 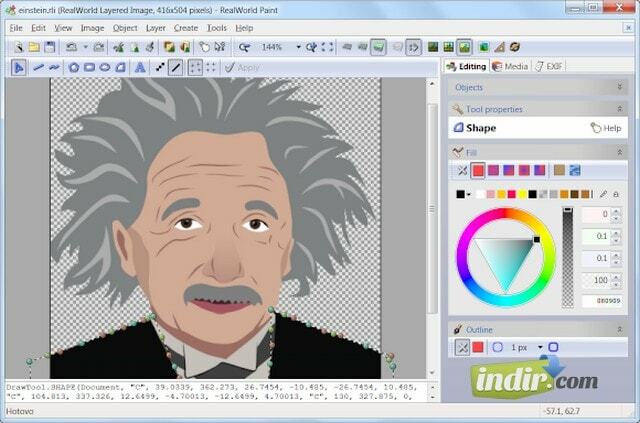 MyPaint has great illustration options and can help you create intricate and original designs right out of the box. The only drawback being that it is rather difficult to get used to because of its various features. Though you should rest assured as once you are used to it, you will be able to create masterpieces like other artists that have switched to MyPaint. PictBear is an open source software for digital illustration. It is a great software and does the work it is designed to do, efficiently. The interface of the software is great and intuitive, it does not have a steep learning curve and would prove to be simple for beginners and new users. The layered effect of the software offers ultimate illustration possibilities for you as an artist. PictBear has its own set of unique brushes which can help you create the best of best illustrations right from the start. Because it is such a versatile and user friendly software, you can start using it right out of the box. The only drawback is that as the project was open source and is distributed as a freeware, you will not receive any support from the developers, as they clearly state on their site, online. Support: Windowsill 98, Windows Me, Windows Xp, Windows Vista, Windows 7. You can use this to edit animations, images and add additional animations to them as well. This will help you create exceptional, high quality icons, that you can later put to use. You can use this tool for image stacking which will result in a super resolution being created, which you can use for your project. You can use this for multi threaded image conversion. This is the raw camera file processor to process the raw image file from a camera. All in all these different components make Chasys Draw IES a great suite for all your illustration needs. Support: Windows 8, Windows 7, Windows vista, Mac Os X. Supports touchscreen and pen input devices. This is another feature packed digital arts illustrator available online for free download. You can simply download RealWorld Paint from the official site and start creating your masterpieces using the inbuilt tools. RealWorld paint has vector design illustration which will help you create masterstrokes and unreal designs. It also has the ability to create animations. This feature can be used to enhance an already existing illustration or create a new one from scratch. It also has an inbuilt image editor that can aid you very well in enhancing and touching up your photos. All in all RealWorld paint is a feature packed software that can be used by any digital artist. RealWorld paint is a great feature rich free package for digital illustrations but has its own drawbacks. The software isn’t that user friendly and requires you to look for tools and other filters in its layout. Which can prove very difficult for beginners, the software also has very little tutorials online, which in turn implies that you might be required to find your own way through the dark. This is another great digital illustrator tool, that offers a demo version for free use that you can download for your basic digital arts illustration needs. It is very easy to use and you can use its various features to create very enchanting artworks and illustrations. Its fairly easy to use and is recommended for beginners as well. The layout of all the tools and effects is pretty simple and everything is very easy to find. You can also use different references from other images to create your own unique image or trace the image if you want to enhance the existing photo. You can use the layering effect to apply different layers of texture and colors and improve the overall look of your digital art. 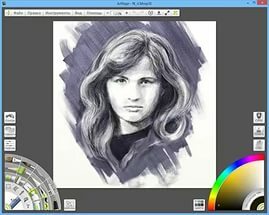 ArtRage also has unique utilities that help you enhance and touch up your project easily. These utilities also help you edit different aspects of your project during and after the completion as well. 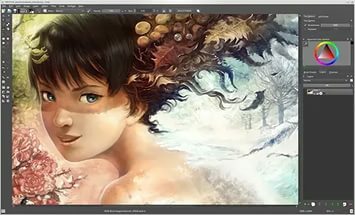 All in all ArtRage is a good digital art software offering a demo version for free uses, and might just be worth buying for some of you. This is a google powered 3D sketch creator, made by google for all your drawing needs. 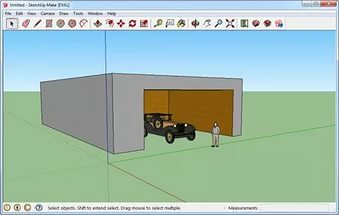 Voted as one of the best and hassle free digital illustrators out there, Google SketchUp make, does a pretty good job of creating great 3D designs at the hands of the most inexperienced users as well. The software is free for download by anyone and is highly recommended for beginners. Google has created an intuitive easy to learn layout and rendering engine, which help create great images right from the start. The software is also available in a Pro version with more features for the advanced digital Artist. All in all Google SketchUp make is a great free digital arts illustrator by Google. 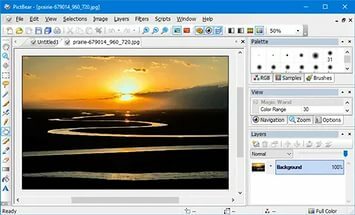 After the onset of image editors, many companies launched online image editors, in order to make it easy to edit images online without any third party applications, on the go. Similarly, you never know when you might require a digital illustrator on the go, and hence i have listed below the top online digital illustrators you can use on the go. These are free softwares. This is a great online service. Psyko Paint is hugely versatile and will cater to almost all your digital art illustration needs. You will need to register for free if you plan on saving and exporting your work, which is highly recommended. The vast number of brushes and colors ensure you are able to translate your creative vision into reality with ease. The layer effect can help you create masterpieces right from scratch as well. All these features make Psyko Paint the go to illustrator if you are looking for an online digital art illustrator. This is an all in all free service for the intermediate digital artist. There is no registration or subscription required and can be used without any restrictions. 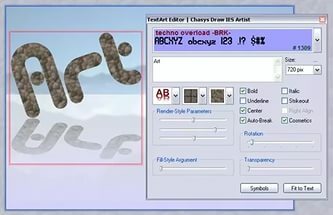 The layout of Queeky paint is very similar to the normal paint software you find in the Windows Operating systems, the only difference being that Queeky is packed with a lot more features as compared to the paint. Queeky has the basic drawing tools for your sketching needs as well as different filters and coloring tools to help enhance your project. You can adjust various parameters too which gives huge control over the overall project you are creating. The only drawback being that this software has little or no tutorials hence making this a software for the intermediate illustrator. You will Have to find your tools and get used to it using your own learning methods. This is a simple digital illustrator that can help you create a basic idea of your vision. Or it can help you enhance an existing project/image. Sketch Paint is simple and free and only made for touch ups and enhancements mainly. The unique selling point of the software being its variety of brushes which can help you sketch the best of the best illustrations online. Sketch paint also has a vast number of color shades and hues to choose from. It has other basic drawing tools too, which can help you get out of a tight situation as well. Just like Queeky Paint, Sketch paint has little or no tutorials but is recommended for beginners as well. The layout is fairly easy and will only take some to get used to it. This is as good as it gets. This is a great digital arts illustrator created by the online community of DeviantArt. It is the online community for all digital artists and illustrators to share and look for inspirations. DeviantArt Muro is an online digital arts illustrator created from the feedback of digital artists all over the world. Muro has standard as well as other complicated brushes for all your sketching needs, not mention layering that can help you create masterpieces of digital art. It has a basic version and a pro version with different capabilities and features. The plus point being that both basic and pro versions are free to use depending on your skill level. This is a great feature which makes muro one of the most sought after online digital illustrators out there.